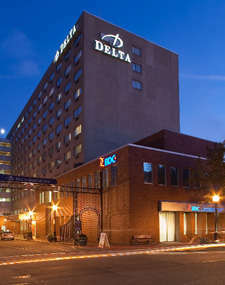 The International Maple Syrup Institute held their quarterly Board of Directors Meeting and their Annual Business Meeting on Wednesday, October 23rd and Thursday, October 24th, 2013 respectively at the Delta Beausejour Hotel in Moncton, New Brunswick. Both the IMSI Directors Meeting and Annual Meeting were very well attended by IMSI Directors, IMSI advisors and others with an interest in IMSI business affairs. This summary is being provided in advance of more detailed formal minutes from the two meetings, which will be distributed at a later date. A listing of the 2013 IMSI Board of Directors is posted on this IMSI website. The elected IMSI Directors for the 2014 calendar year are listed below as part of this summary. Jerry Kless has returned after a leave of absence, representing Citadell Cooperative as their IMSI Director representative. Denis Lejoie of Citadelle Cooperative is thanked for standing in for Jerry while he was away. IMSI Treasurer presented a quarterly financial report for the IMSI Board which was accepted by the Board without amendment. The IMSI Treasurer and Executive Director continue to monitor the status of IMSI Expenditures in relation to the Work Program Planning Guideline which was developed for 2013 and approved by the IMSI Board of Directors. In preparation for the IMSI Board of Directors meeting in February 2014. IMSI projected expenditures for 2013 will be compared to actual expenditures for all line items in the IMSI Work Program Planning Guideline. A financial monitoring committee comprised of Steve Selby, Gary Gaudette and Jacques Couture will conduct an annual review early in 2014 of the IMSI financials for the 2013 calendar year. David Campbell, IMSI Director representing Mapleland Farms from New York State will replace Steve Selby as the IMSI’s Treasurer as well as on the IMSI Executive Committee effective January 1st, 2014. Most IMSI members who held a membership in 2012 renewed their membership for 2013 and several new members joined the Institute this year. The IMSI will also be working to recruit new members with a primary focus on the few State Maple Producer Associations as well as maple packers who have not yet joined the Institute. All IMSI members are asked to assist this recruitment and advise the IMSI’s Executive Director or any member of the IMSI Executive Committee of potential new members. New member recruitment will be primarily done in conjunction with the issuance of the IMSI’s annual membership renewals in January 2014. The IMSI Board of Director representatives from both Canada and the United States reported on the supply and demand for maple syrup in the different state and provincial jurisdictions. It was reported earlier in 2013 that a very good or bumper crop was experienced in most areas with the production of lighter syrups being prevalent, including in Quebec. Production of maple syrup in Quebec was 120 million pounds compared to 102 million pounds in 2012. Total production of maple syrup for 2013 in Canada and the US combined is estimated at 170 million pounds. At present there is about 63 million pounds of maple syrup in the Federation of Quebec Maple Syrup Producers Strategic Reserve. The quality of maple syrup produced was generally reported as being very good or excellent this year. This record production is attributable to a combination of favourable weather conditions, expansion of number of taps in some jurisdictions and higher average tap yields due to the adoption of modern equipment technologies in recent years. Current markets for maple syrup were reported as being very good to excellent in all of the states and provinces that reported at the Board meeting. There has also been some very modest growth in overseas markets due in large measure to investments in market development made in recent years by the Canadian government, the Federation of Quebec Maple Producers as well as by maple producer cooperatives and packers in the United States and Canada with significant syrup exports. Markets for maple syrup vary significantly among the different producing regions. For example, the Quebec maple industry relies heavily on exports of bulk maple syrup while Ontario sells about 85% of its production at retail within the province and imports as much as 40% of the syrup consumed in that province. Generally, smaller producing regions are able to market a larger proportion of their production at retail and capitalize on value added. The importance of marketing maple syrup for varied and innovative uses was stressed during the IMSI Board meeting. It was reported at the IMSI Board meeting that maple syrup produced in 2013 was committed or sold in many areas. However, some reports suggested that bulk syrup could still be readily accessed in large quantities by producers and packers who require additional syrup. While current markets for maple syrup are very good and generally prices are stable, some concern continues to be expressed that a planned production increase may not be fully absorbed by existing markets for syrup in North America and overseas. The prevailing sentiment from the August and October 2013 IMSI Board meetings is that governments should not incentive capital investments in maple syrup production facilities but rather focus investment assistance on market development both in North America and overseas. The distinctive nutritional merits of pure maple syrup, combined with implementation of the Standard Definition, Grades & Nomenclature proposed by the IMSI, should be fully capitalized on in future marketing efforts. An IMSI working group comprised of Mark Harran, Ray Bonenberg, Simon Trepanier, David Marvin and Dave Chapeskie was established in August to study this market supply and demand related issue. A very interesting information transfer session on current and future supply and demand for pure maple syrup was held following the business component of the IMSI’s Annual Business meeting. Simon Trepanier, Director General of the Federation of Maple Syrup Producers of Quebec (FQMP), Matthew Gordon, Executive Director of the Vermont Maple Sugarmakers Association (VMSMA) and Michael Farrell of Cornell University provided perspectives from FQMP, VMSMA and Cornell University respectively. For further information on this very informative session, contact Dave Chapeskie, the IMSI’s Executive Director. For many years, the IMSI has facilitated the testing of syrup samples in the international marketplace that have been suspected of being adulterated. All IMSI members are strongly encouraged to take advantage of the IMSI’s adulteration testing assistance if they suspect that syrup is adulterated anywhere in the world marketplace. In 2013, two samples of syrup obtained overseas which were suspected of adulteration were submitted to Centre Acer and the University of Waterloo in Ontario for adulteration testing. The results from this testing verified that the samples were not adulterated. IMSI members are strongly encouraged to remain vigilant regarding suspect syrup which is thought to be adulterated in the North American and overseas marketplace. Samples should be purchased from retail (4 sealed containers) and forwarded directly to Tim Perkins, UVM Proctor (US IMSI members) and to Yves Bois, Centre Acer (Canadian IMSI members). Kathy Hopkins, Chair of the IMSI’s Organic Certification Committee, reported on the status of the Organic Certification Committee work. In advance of the IMSI Board meeting in Moncton, the Committee had prepared and distributed an updated draft chart showing differences between organic certification standards at the federal level in Canada and the United States as well as among the different States which have their own standards. The IMSI Board of Directors voted to accept the chart. It was recognized as important that the IMSI Organic Certification Committee remain active and continue to monitor any changes to existing Organic Certification Standards for Maple Syrup. It would be worthwhile to take a closer look at the differences are between organic certification and maple syrup produced using best management practices which is not certified organic. These differences are primarily in the areas of use of cleansing and defoaming agents as well as use of pesticides. Future research and negotiation with certifying bodies may over time narrow or eliminate the gap between the two which would be ideal. There was further discussion at the IMSI Board meeting regarding the merits of harmonization of organic certification standard in Canada and the United States. The Board looked favourably on the possibility that the IMSI would pursue harmonization of organic certification standards in the future. However, it was recognized that the IMSI has a full plate of very important project initiatives at present, including advancing the IMSI’s Standard Grades and Nomenclature initiative through to full implementation, and that it would be advisable to defer engagement on harmonization of organic certification standards for the time being. Communications and Information Transfer – The IMSI recognizes that it is very important to communicate and transfer information to maple producers and packers as we come closer to implementation of the new maple grades and nomenclature standard in the United States and Canada. A communiqué was recently distributed to IMSI members and published in the fall 2013 edition of the Maple Digest intended to answer questions about the pending maple grade system changes. These will continue as we move closer to implementation of the new grade standard. It appears that Vermont and New York State ( 2014 transition year) are moving towards implementation of the new international grade standard in 2014 while federal and other state/provincial governments will most likely approve the new standard for 2015. Most governments are expected to allow for a transition period to facilitate the transition between current maple grades and the new international grades standard. Responding to Technical and Other Questions – The IMSI Executive Director and IMSI Maple Grades Committee members continue to address questions from maple producers, maple packers and government officials regarding grade and nomenclature changes. Input Into Government Draft Grade Rule Documents – The IMSI continues to respond to questions and required input from Federal and State/Provincial maple grade rule regulatory authorities regarding specific aspects of the IMSI Grades and Nomenclature Proposal. Monitoring and Comparing New Maple Grade Rule Adoption by Federal and State/Provincial Governments – The IMSI has been closely monitoring progress towards adoption of the maple grade rules proposed by the IMSI at the Federal and State/Provincial levels. A recent comparative update has been provided to IMSI members and published in the Maple Digest. Another update will be provided later this fall. Political Lobbying to Encourage Acceleration of Regulatory Approvals Process – The IMSI and IMSI Directors have been active in political lobbying with the intent to accelerate the regulatory approvals process where this is seen as warranted. This effort will continue as required through to adoption of the new grade rules. As part of the North American Maple Syrup Council (NAMSC) meeting forum, a panel was organized to update attendees at the NAMSC and IMSI Annual meetings regarding status of adoption of the new international maple grades standard. Panelists were Dave Chapeskie (IMSI), Dr. John Garwood (Marketing Consultant, Quebec), Eric Randall (New Your Maple Syrup Producers) and Matthew Gordon (Vermont Maple Sugarmakers Association). At recent IMSI Board of Directors meetings, there has been considerable discussion regarding the issue of misrepresentation in the marketplace both in North America and overseas of products using the word “maple” or words “maple syrup” and the inappropriate use of visuals taken from the maple industry. Many of these products contain none or very minimal pure maple products. It was agreed that the IMSI should pursue a number of options for countering this situation and become more fully engaged in preventative action. 1) The IMSI will send a tailored letter to selected companies outlining the issue and requesting action where they are believed to be misrepresenting maple on their product labels and/or consumer displays. An incremental approach will be taken to issuing letters and responses will be closely monitored. The tone of these letters will be positive, encouraging the companies to utilize pure maple products in their products. 2) Dave Chapeskie and Matthew Gordon (VMSMA) will work to map out existing and related legal statutes which are pertinent to the issue in Canada and the United States respectively. Ongoing IMSI input into regulatory amendments will be tied to this where the opportunity presents itself. 3) The IMSI will explore programs related to food product authenticity such as Codex Alimentarius (CA) and the American Origin Products Association (AOPA) to assess their potential to help address the issue. The IMSI has joined the AOPA in order to become more familiar with that organization and to more fully assess its potential in helping assert product authenticity for pure maple products. These actions outlined by above have been endorsed by the IMSI Board of Directors. Other actions such as support for University Case Studies, engagement of the press and use of social media and engagement of politicians may be considered either by the IMSI or by IMSI members in collaboration with the IMSI. These potential actions will be discussed and developed further as warranted. Jake Couture, IMSI Director for the VMSMA, provided an update from his recent trip to France where he had an opportunity to discuss AOPA and Product Authenticity with other AOPA members. Ray Bonenberg, IMSI Director representative for the Ontario Maple Syrup Producers Association, provided an update on the status of the IMSI Position Statement on Exotic Insect Pests which is under development.. The Position paper is focused on Asian Longhorned Beetle primarily with a secondary focus on Emerald Ash Borer (EAB). A first draft of the Position Statement was distributed to the IMSI Board members and others in advance of the Board of Directors meeting in Moncton. Ray walked the IMSI Board and others in attendance at the meeting through the draft position paper. He stressed how important it was for the maple industry to remain vigilant and engaged on a continuous basis so that governments continue to rate the issue of exotic pests as a very high priority for funding research as well as preventative and containment actions. Richard Norman, Steve Selby and Dave Chapeskie served on the IMSI’s Nominations Committee for developing the slate of IMSI Director Nominees, the IMSI Executive Committee Nominees and IMSI Advisors for 2014. The election of officers and appointment of the IMSI Executive Director and IMSI Advisors was carried out during the IMSI Annual Meeting. The winners of the IMSI sponsored Annual Awards were announced in Moncton. Steve Selby was the recipient of the IMSI Lynn Reynolds Memorial Leadership Award for outstanding leadership in helping advance the North American Maple Syrup Industry. There were two recipients of the IMSI’s Golden Maple Leaf Award in 2013. Pierre Lemieux received the Award for his significant work in advancing programs to promote and market pure maple products in North America and overseas and Donald Lapierre received the award for his very significant contribution to innovations in maple syrup production equipment of benefit to the North American Maple Syrup Industry. The Maple Grading School continues to be rated highly by course participants and the IMSI Board is strongly supportive of its continuation. The School now offers a component related specifically to enhancing course participant awareness regarding the IMSI Standard Grades and Nomenclature Initiative, including the use of new temporary colour classification kits. There will be follow-up discussion in 2013/14 regarding opportunities to extend the reach of the Grading School in Canada and the United States and to work towards a uniform approach to maple grades awareness and education in North America. This effort will help assist implementation of the new international grade standard for maple syrup. If additional information is required please contact Kathy Hopkins at 207-474-9622 or khopkins@maine.edu.